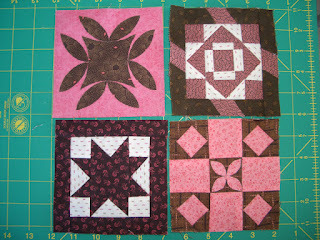 This week finds me working on more of my Dear Jane Blocks, The latest completions are below. I now have rows A-F complete and am almost finished with row G. Only 6 more rows to go! I also completed the Blocks for Sunshine Quilt Guild, which meets this Tuesday Night. Anyone who wants to, purchases a block for $1.00 and then the completed blocks go in to a drawing. 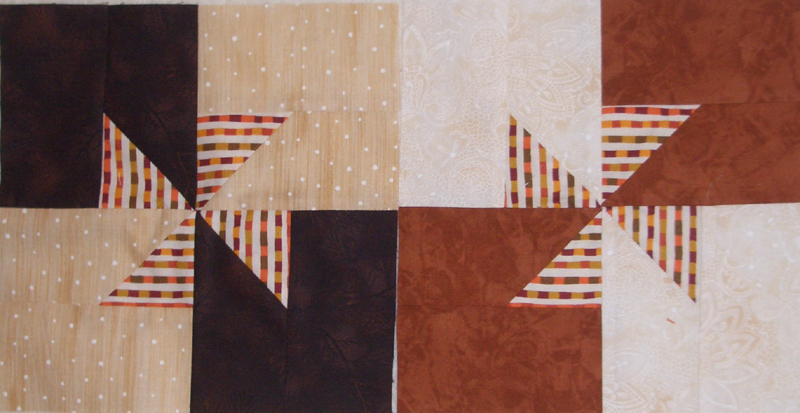 This one is all in Fall colors. What are you working on this week? 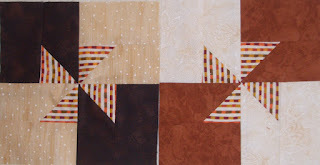 Check out all the other Design Walls at Patchwork Times.